The Gemini MXR-01 is perfect for beginners and professionals alike. 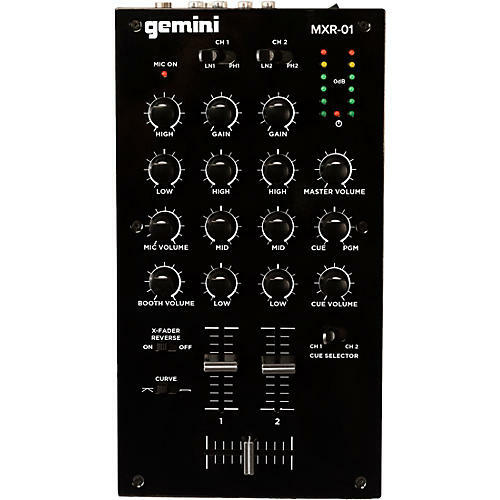 For beginners, the simple controls and intuitive layout makes this mixer easy to understand. For professionals, the MXR-01 is the perfect backup mixer, with its easily portable design and rugged all-metal construction. Everyone using the MXR-01 will benefit from the 3-band EQs per channel, crossfader curve and reverse controls, and complete output section with balanced and unbalanced outputs and even a booth output. The MXR-01 has everything you need to start DJing with style.